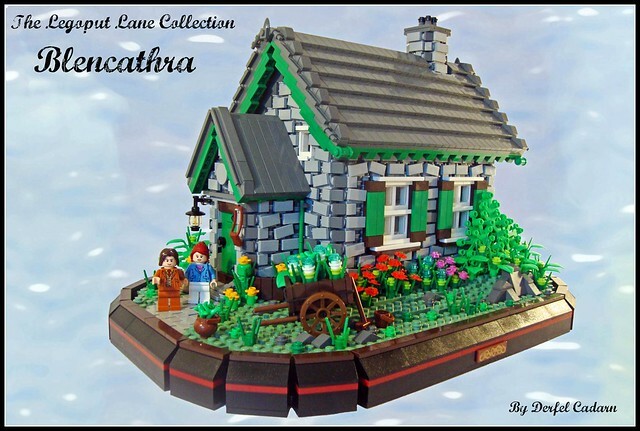 Brick Town Talk: Olde English - LEGO Town, Architecture, Building Tips, Inspiration Ideas, and more! Stratford-upon-Avon, England- (BTT) For hundreds of years, stone was the way to go for buildings- it lasted, it didn't rot, it was easily stacked, and was readily available. In England, stonework seemed to be particularly favoured in medieval times. And although the stonework on this MOC is simply brilliant, it's not the only feature that catches your eye. The garden with ivy attaching itself to the walls, the chimney poking its head out of the roof, and the slate roof are all details of great note. Why, it wouldn't be too far of a stretch of the imagination to think of a famous playwright living here, or nearby!